یکی از مناسب ترین شیلدهای رزبری X300 Expansion Board می‌باشد. علاوه بر فعالیت کارت صوت، یک USB Hub جهت ارتقاء پورت‌های USB، ارتباط Wifi و بلوتوث، اینترفیس ساتا SATA در کنار یک تراشه زمان سنج فوق دقیق DS3231 به همراه باتری پشتیبان، می‌باشد. استفاده از این شیلد در بسیاری از پروژه‌ها کاربردی خواهد بود. Comment following three lines in config.txt by adding '#' located at start of the line. To establish a communication with the Raspberry Pi over Bluetooth you need another device that can speak Bluetooth. 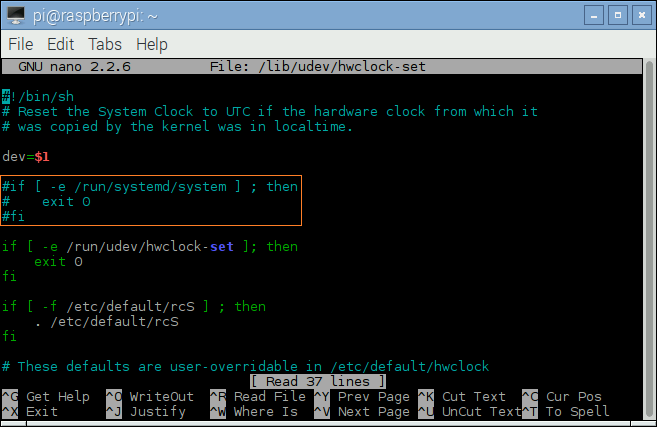 If your computer has a Bluetooth adapter then you just need to find a terminal software that you can use to send and receive data, like HyperTerminal on Windows, orscreen on OS X and Linux. A computer is not the only choice, though. For example, I will use my Android cell phone with the free BlueTerm(download from Google play) app installed. I'm going to assume you are running a recent release of Raspbian on your Raspberry Pi. If you are running another OS then you will need to find out how the changes below are done in your system. 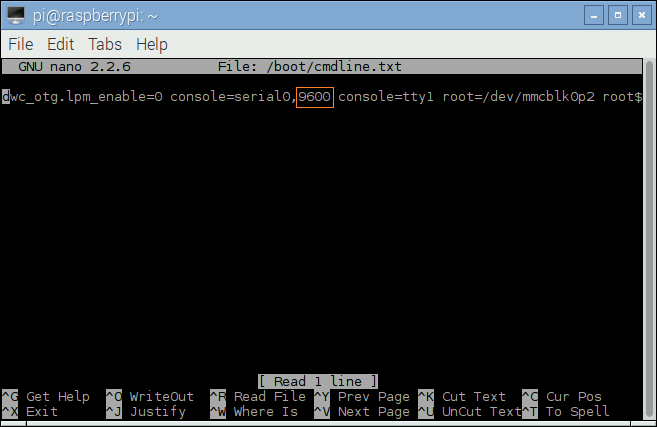 By default the Raspberry Pi is configured to write boot time messages to the serial port, and also to start a login console on it. Unfortunately, the default baud rate that the RPi uses for its serial port is 115200 bps, while the Bluetooth module comes preconfigured to 9600 bps. There are two config files that need to be updated. If you've tried to use the UART on the GPIO header of the new Raspberry Pi 3, you may have been frustrated to discover that it doesn't work properly. until we get an official 'proper' fix (possibly setting PLLs correctly or dynamically with any changes to the core frequency), the best option seems to be setting the core clock to 250MHz, with core_freq=250 in /boot/config.txt. Add the line core_freq=250 , Save and reboot! 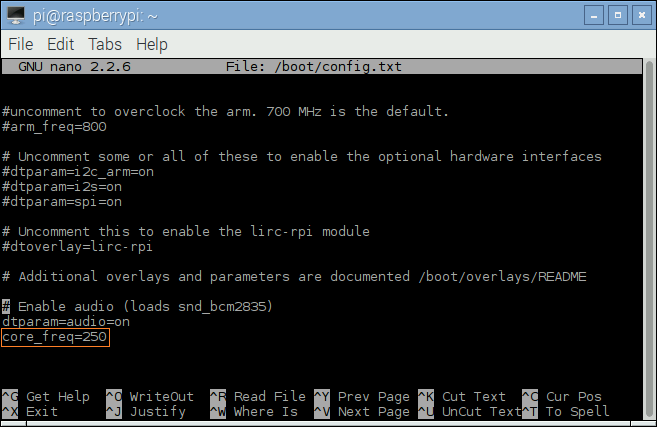 With those changes made the RPi is configured to talk to the Bluetooth module. If you now power up your Raspberry Pi you will notice that the LED in the Bluetooth module blinks rapidly. This is the sign that the Bluetooth module is ready and waiting to be paired with another device. Now leave the RPi running with the Bluetooth module in its blinking state and go to the Bluetooth enabled computer or smartphone that you will connect to it. Your device should now find the Bluetooth module with the name BC04-B when you set it to discover devices. The Bluetooth module comes preconfigured with a PIN number. To complete the connection your computer or smartphone will ask you to enter this PIN. The factory default PIN is 1234. The LED in the Bluetooth module will now stop blinking and remain lit, indicating that it has made a connection. Now watch the Bluetooth terminal on your PC or smartphone while the Pi reboots. Boot messages should be appearing on your terminal, and as soon as the RPi is up you should get a login prompt there as well. You can now login from your Bluetooth terminal and use the command line prompt as you normally would over a local or network shell. But these values can be changed by sending special commands through the communication channel. Now that the Raspberry Pi is connected to the module we can try this. These special commands that configure the Bluetooth module can be sent from a connected remote device, or they can be sent from the local system, in this case the Raspberry Pi. 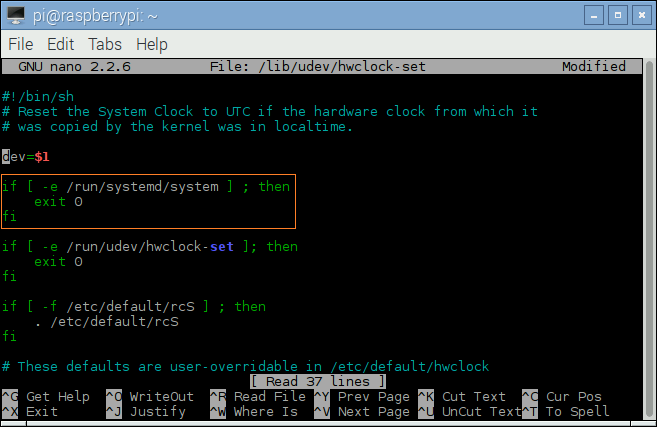 Since the Raspberry Pi is the star of the article I'm going to also use it to do the configuration. AT Test the communication with the Bluetooth module. AT+NAMEname Change the Bluetooth ID to name (maximum 20 characters). AT+PINnnnn Change the PIN to nnnn, which must be a four digit number. One tricky aspect of sending these commands is that the Bluetooth module has a very short timeout, so all the characters in a command must be entered really quickly. The safest way to get the entire command in time is to type it in a text editor window and then use copy/paste to send it really fast. Note that it isn't necessary to have a connection to do this, so you can do this while the Bluetooth module is in its blinking state. You now need to use any method to get the string AT into the clipboard, and then hit paste inside the minicom window to send the command to the module. If you get this response then you know that everything is all right. If you don't get a response then for some reason the Raspberry Pi is unable to communicate with the Bluetooth module. Note that when the name and/or the PIN change the module requires a power cycle for the changes to take effect. Also don't forget that if you change the baud rate and later want to reestablish the serial console you will need to change the two config files to reflect the new baud rate you have selected in the Bluetooth module. با استفاده از شیلد مولتی فانکشن رزبری پای پین های رزبری را توسعه دهید. این شیلد، سنسور را به صورت مستقیم و بدون اتصالات پیچیده ارتباط میدهد.دارای پایه ارتباطی VCC و GND و DIGITAL PIN و ANALOG PIN برای اتصال سنسورها میباشد.